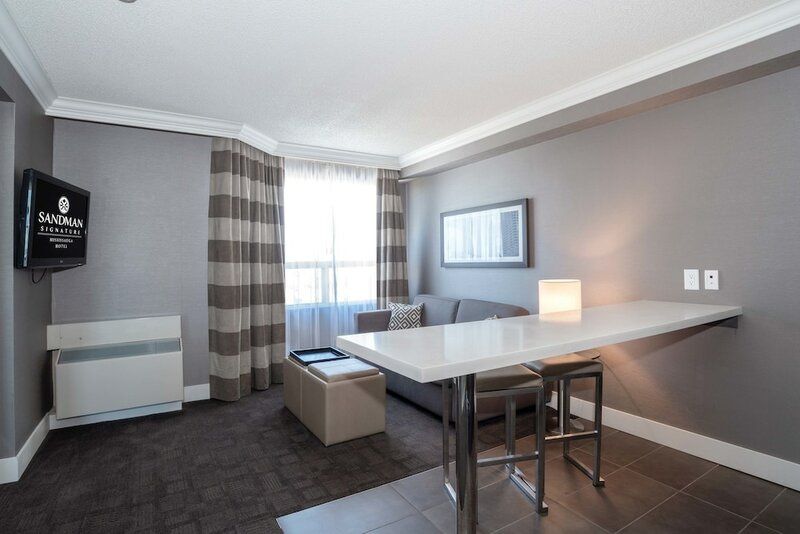 Your stay at this Northeast Mississauga hotel places you within 3 miles (5 km) of Mississauga Hershey Centre and Iceland Arena. Playdium and Mississauga Convention Centre are also within 6 miles (10 km). This hotel features an indoor pool, a 24-hour fitness center, and a restaurant. Bring the family and enjoy the waterslide and kid-friendly dining. Enjoy the spa tub and perks like free WiFi and a free airport shuttle. Featuring conveniences like sofa beds and living rooms, the 224 guestrooms offer free WiFi and free wired Internet, as well as flat-screen TVs with cable channels. Other amenities include microwaves, room service, and coffee/tea makers. We really liked the jacuzzi suite- was large and well laid out. Having the jacuzzi was a very nice touch. The hotel appears well kept and clean. Our only disappointment was that the jets were not working in the hot tub, and it would have been nicer if the pool was a little deeper (minor complaints). Otherwise, great place to visit. All good. Acces from highway 410 was awkward. Room exceded expectation. Very good room. Good service. Free parking. Shuttle service man very good. This was a nice hotel. The rooms were clean and spacious. Nice staff. Close to airport and the freeway. Cons: Maid service for little things, like no clean glasses (room 805), broken coffee pot and not enough towels for the 6 of us. We stayed for one night with our 4 grandkids (8,10,15,15) because we had an early morning flight back to the US. 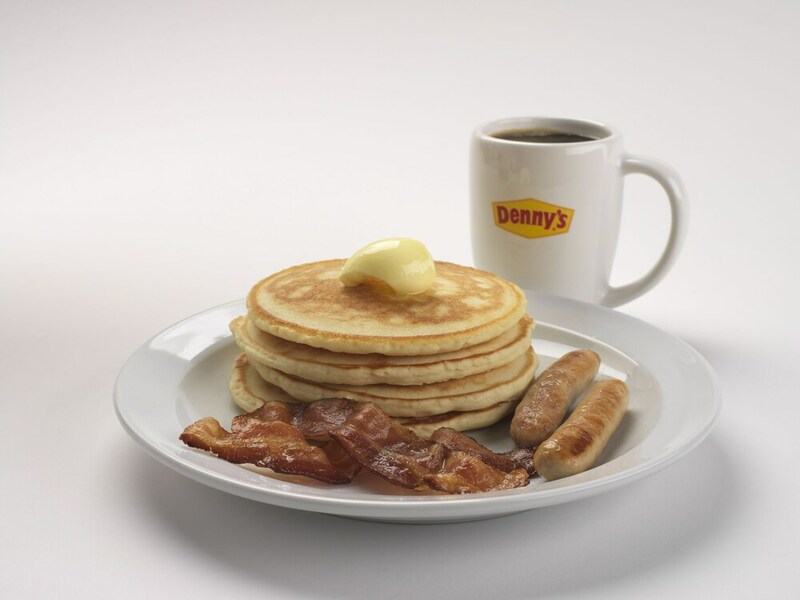 There is an attached Denny's which was very nice so we didn't have to leave for meals. There is a great workout room and indoor pool with a waterslide. The room was clean and the 2 queen beds were very comfortable. Unfortunately the sofa bed was very uncomfortable for the 2 younger ones, the coffee pot didn't work and there were only 3 towels for the 6 of us and only one glass which hadn't cleaned (has remnants of wine from a previous occupant).The staff was wonderful, taking care of our concerns when we brought them up and assisting us to get to the rental car return and back to the hotel. I would recommend this hotel. Thank you for your feedback. We appreciate your feedback. Staff was excellent. Gave good suggestions on how to get to downtown Toronto. Pool area could us some painting bit pool and whirlpool were great. Highly recommend. Thank you for your comments. We appreciate your feedback. Pool will be going under renovations in the near future. Cons: Shower water head/water flow could have been a little stronger. Everything was fine. Staff very friendly. Room was easy to get to. Downstairs was a very nice bar. Denny's inside which is open 24/7 is a very good thing. 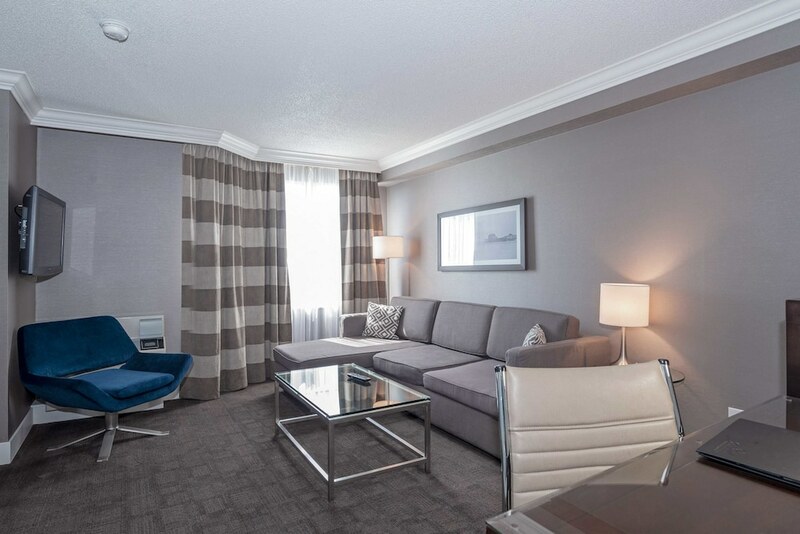 As a guest of Sandman Signature Mississauga Hotel, you'll find an indoor pool, a waterslide, a spa tub, and a 24-hour fitness center. Along with a restaurant, there's a coffee shop/café on site. You can enjoy a drink at the bar/lounge. Public spaces have free WiFi and wired Internet. You'll find a 24-hour business center on site. Event space at this hotel measures 96875 square feet (9000 square meters). 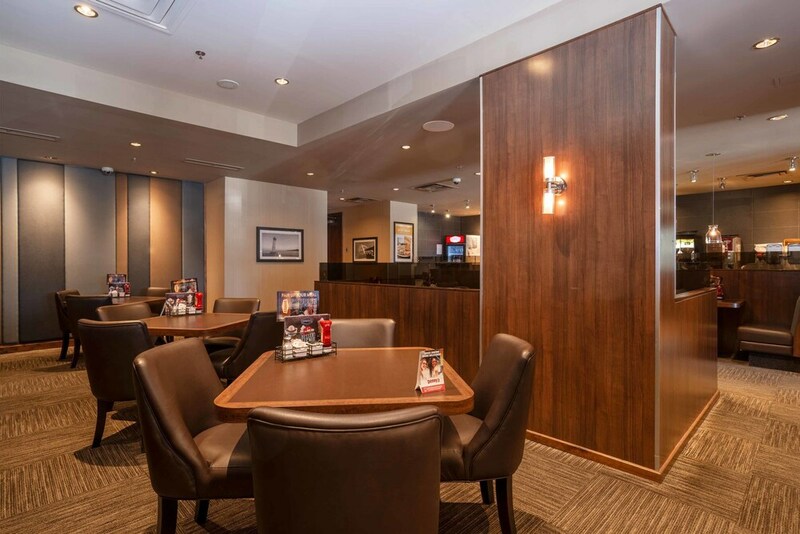 The family-friendly Sandman Signature Mississauga Hotel also features gift shops/newsstands, dry cleaning/laundry services, and express check-in. A roundtrip airport shuttle is free (available 24 hours). This 4-star Mississauga hotel is smoke free. Please note the hours of operation for this property's waterslide: Friday 6-10 PM, Saturday 9 AM-1 PM and 6-10 PM, and Sunday 9 AM-1 PM. For more details, please contact the hotel using the number on the reservation confirmation received after booking. 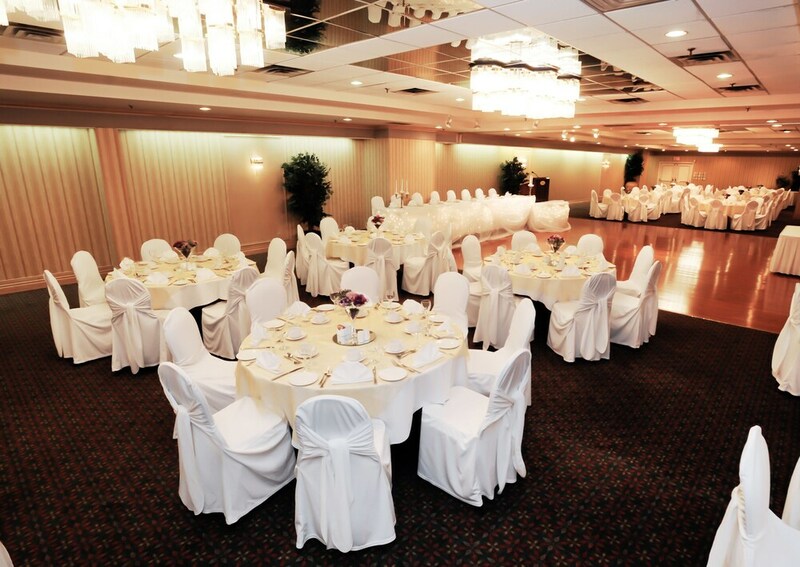 Sandman Signature Mississauga Hotel offers transfers from the airport. Please contact the property at the number on the booking confirmation with your arrival details prior to travel.